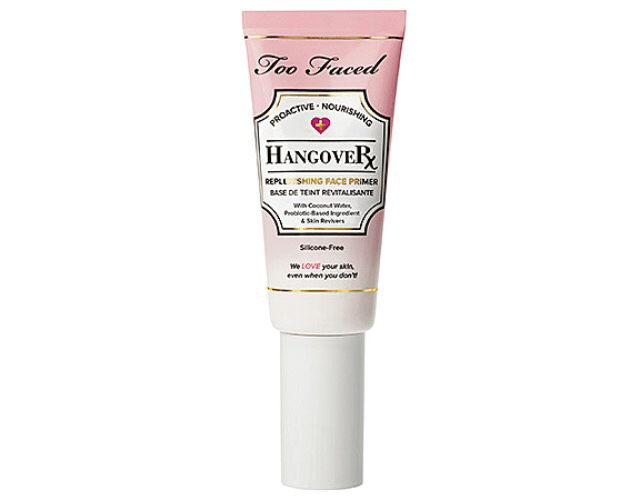 primer I found from too faced, it not only smells amazing but makes my skin feel amazeeee as well! Not to mention how hydrated I feel, thanks to the coconut water in it. The whole concept is that it revives tired, overworked skin, making you look like you’ve had a full nights rest all while prepping for your usual makeup routine. I used to NEVER use anything to hydrate my face, which is insane probably, but my skins never really gave me problems with being oily or dry, so I figured I didn’t need it. Well, as we get older, we get wiser (on some levels) and I now know I need to use something to hydrate and see the difference in my skin when I do! I love how milky this stuff is, and It’s very light weight, unlike most primers I’ve used. To me it’s great for everyday use, with or without makeup, which I have to mention with, my makeup stays on way longer. This product is a great little balance for me because it makes my skin look a little dewy, and once I put my foundation and powder on top it sets in leaving it looking fresh!